It is a rare external part that is compatible with the old scooter. So, if you can continue selling ZOO, it will be very helpful. Nice to meet you! ! This review is about item#36665973. This review is about item#36665921. This review is about item#36665876. I thought about inexpensive manufacturer products, Because the reputation was good on the net I bought it! Even if I use it, after all I thought "It's Daytona." This review is about item#55082685. I used it for DioZ 4. Acceleration is now black with opening rubber cover when we opened the transmission cover. After changing the belt, the torque will be accelerated by the feeling like going up. There was some wear of the pulley at the time of replacement, so next time I will exchange the pulley kit. This review is about item#55082554. Replace and travel about 50 km. Running at 50 to 60 km / h was stabilized. I'm looking forward to how long it will last. This review is about item#36666086. Several times, I opened the crankcase and saw the belt but I used it with confidence without unnatural reduction or cracking! This review is about item#36666095. 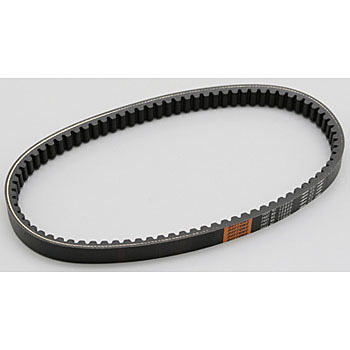 We can smoothly replace the belt, and we are very satisfied with the expected effect. This review is about item#55082676. It was able to be used without problems. It seems to be strong so I hope you bring it for about two years. This review is about item#55082545. I was out shortly. It is better than normal. . . . . . This review is about item#36665964. I received it shortly after ordering. I am using it as well as genuine goods. We also exchanged the belt for weight roller exchange. I am quite satisfied that the sound became quiet and the speed came out as well. This review is about item#55082536. I do not know how much I'm strengthening, but I feel like I've powered up. I do not know the durability, but I hope to purchase again if it can be used for 10,000 km. This review is about item#55082667. This review is about item#36665955. I used it for Let's belt exchange. It is an impression that the sharpness is added to the speed change. The belt is a consumable item! We will proceed with periodic replacement. The feeling that the power of the engine used as it is transmitted for one year. I do not feel slippery, I do not feel any faint. The highest speed does not fall. This review is about item#36665937. Although I used various manufacturers including genuine, I felt that this product is most suitable for my way of using (commuting entity usage). Others feel that it is this product that was able to use it stably with short life span or squeaking. This review is about item#36665885. Since there are fewer helicopters than normal, it is difficult to elongate, so maintenance intervals can be taken long. Even if the width decreases by 1 mm, the top speed drops by 5 to 10 kg, so we use a reliable Daytona made.